A bumper volume of children’s stories about the hilarious, incorrigible West family by New Zealand author Joy Cowley. Episodic enough to dip in and out, this New Zealand import charms in small bites. These are rollicking, fun tales of family life and kids’ antics in a real world setting. There is plenty of laughter, irreverence and hilarity. Wherever the Wild West Gang goes, adventure is not far behind – and it’s the sort of adventure you don’t want your parents to know about. Flat-out, timeless fun. 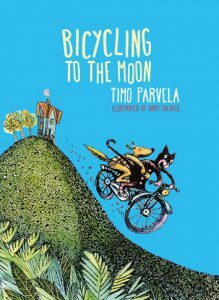 With 10 self-contained stories, and creative, real-life, outdoor adventures, this is a book readers over age 10 (and possibly boys in particular) will thoroughly enjoy… There is a good dollop of imagination and the great outdoors in each of the adventures, which is refreshing and inspiring. This book will be particularly popular with boys over ten. 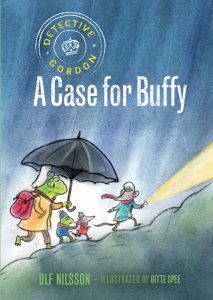 It provides great laughs for newly confident readers, although I suspect adults will enjoy reading the book to their children too. Here, beloved author Joy Cowley presents a collection of 10 adventures of Michael, the son of uber-conservative snobby parents and his cousins, the West family. These tales, originally published between 1998 and 2004, can be read as short stories or as a chapter book and will appeal to those who like mud and mayhem. Uncle Leo and Auntie Rosie are all about having fun without expensive toys. The humour throughout makes this a real page-turner. Only child Michael is stifled by his prim mum – until his cousins move in around the corner. 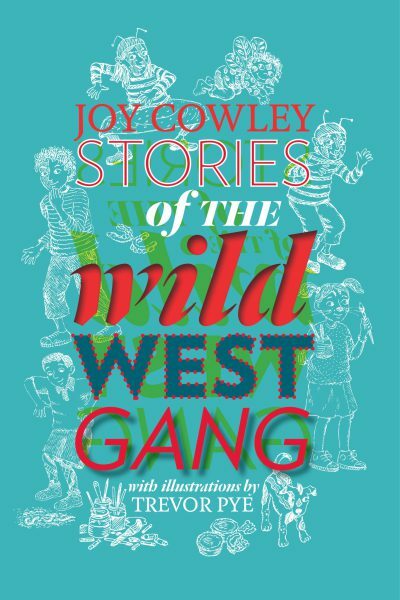 Joy Cowley’s Wild West Gang was around long before Outrageous Fortune – so it’s great after many years to have an omnibus edition of Stories of the Wild West Gang, featuring the seven-strong family that creates ongoing mayhem. Classic Cowley. These famously funny family stories are perfect for newly confident readers – 10 stories in all, each of them separated into chapters short enough to manage, but long enough to engage. And engage they do! Michael’s cousins, the West family, are noisy, messy and wonderfully adventurous; all the things Michael’s family is not. No wonder he craves their company – and lands himself in some seriously sticky situations! 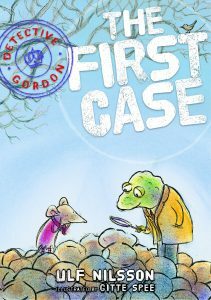 Lovely read aloud stories… and funny, really funny… very good for a confident early reader, say someone around 7-8 who likes reading and is well launched on solo reading. 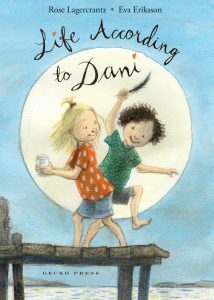 But also a good family read aloud – I just love them. Highly recommended. Wonderfully chunky edition and with just enough illustrations by Trevor Pye to whet the appetite without overwhelming it. These famously funny family stories are perfect for newly confident readers – ten stories in all, each of them separated into chapters short enough to manage, but long enough to engage. And engage they do! 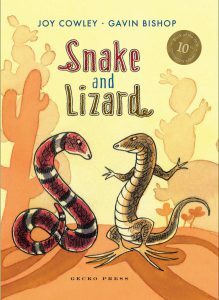 Young adventurers will enjoy Joy Cowley’s 10-story collection about the wild West family. After all the sci-fi and futuristic novels, Stories of the Wild West Gang, by New Zealander Joy Cowley, makes a welcome change … Each chapter is a mini-adventure and will delight children from about 6 to 10. One of the pleasures of this collection is seeing how Michael enjoys the freedom of life with the Wests, and learns to cope with idiosyncrasies of each of his cousins. This is an ideal book for every family that knows about peanuts up the nose and chewing gum in the sugar bowl. I read a lot of books intended for YA, but rarely do I read and enjoy so much a book intended for an even younger audience. I could sympathise completely with the main character Mickey, especially the confusion with which he views the relationships of the adults surrounding him. Things are just so complicated as an only child in an adult world! Buy this book for yourself, for your 8-year-old, and even for your teenager. Everybody wishes at some point in their life that they had somewhere to escape mundane life to – and the Wests give this and more!